I would guess you're not exactly “thrilled” about the end times. Frankly, you may be among those terrified by it. If so, then you've come to the right place to find relief and comfort. I've prepared this article to help readers work through their most common end times-related fears. You'll learn you're not alone—even believers in a “pretrib rapture” fear the end times. Find out what underpins most of these fears so you can defuse them. Through that and some articles linked here, you can replace your fear with comfort in the future like so many of my readers report. Mr. Tim, I always read your articles. I'm not gonna lie, they sometimes scare the mess out of me. You don't get frightened by the end times? I had shared the article to conquer fear and doubt (in the wake of the Christchurch earthquake), and instead it had the opposite effect. What went wrong? I knew right away what the problem was. To explain why single random earthquakes were not prophetic (even when major), the article out of necessity touched on upcoming end time events. Most are unaware of these events or do not get the full gist of them in reading the Bible alone. When you finally grasp them, it can overwhelm you and cause anxiety. Even worse, people may encounter YouTube videos with invented theories that are usually coming right up this year (never happens). Over the years I have talked to enough people who are interested in prophecy to have heard of all kinds of fears that arise from it. Teens have their own special concerns. So do seniors. People with serious trouble on the home front can have a fear that is opposite of what you would expect. If we are honest, most of us would have to admit to being scared by what we read in the Bible. I have had my own fears (that I will discuss below) which I thankfully conquered years ago. The solution came through the answers found while researching my book Know the Future similar to how reading it brings peace to readers. The good news is that we do not have to stay scared or in dread of what is coming once we learn about it. With better understanding of God's nature and his plan we can conquer all the fears as we shall now see. After all, God did not give us end time prophecy to terrorize us. He said he gave it to bless us (Rev 1:3) and show us what was to come (Rev 1:1), which he also he must and will save us from. The first thing to understand is that a loss of peace at the thought of what's coming is completely understandable and normal. There is nothing to be ashamed about being uncomfortable about the dark future painted in the Bible. When we hear about what's coming, we are naturally going to wonder whether we will be among those who make it. Doubts will come up. In fact, did you know that even, pretribbers, those who believe in the “secret pretrib-rapture” escape, before the Great Tribulation can be scared of the end times? More on that below, but for now understand that even those people who would seem to have no reason to fear the end times, also fear. What about the verse "perfect love casts out all fear" (1Jn 4:18)? Doesn't this mean there is no excuse for fear because you should be all about love as believer? No. Although it is quoted a lot that way, that verse is not about fear in general. In context, the verse is actually talking about fear of the day of judgment from God (1Jn 4:17). If we have love, we will not fear his judgment day punishment because love is the fulfillment of the law of God which we must adopt for eternal life (Mt 19:17-19). Developing love is good in general, but when it comes end time fears it's more effective to address them directly with wisdom and truth. Here, then, is my list of common fears from studying the end times, along with suggestions for each. The first and most common fear usually happens immediately when something finally inspires a believer to start digging into Bible prophecy himself. Y2K speculation did it for me in 1999. 2012 Mayan Calendar speculation did it for many others. 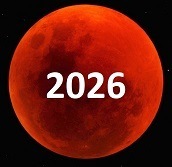 Then the 2015 blood moons caused a tizzy and increased interest in Bible prophecy. Whatever the catalyst, one soon discovers that what the Bible describes is terrifying. It is not something you can imagine surviving. Reading just about any of my articles can lead to first time knowledge of the frights it describes, like it did for the person who left the comment above. She had lost her sense of safety and comfort about the future that the typical Christian teachings about the end times (like a "pretrib rapture") provides. I had this fear, too, in 2002. From deep study, I had finally realized that Wormwood of the Third Trumpet was a literal star which brings all the disasters from Revelation 6:12 through 8:13. I realized we had a literal "death star"coming our way (actually, dwarf planet which is included in the Greek word aster). One of its effects described in Revelation is destructive worldwide tornado-level winds over the entire earth (Rev 7:1-3). 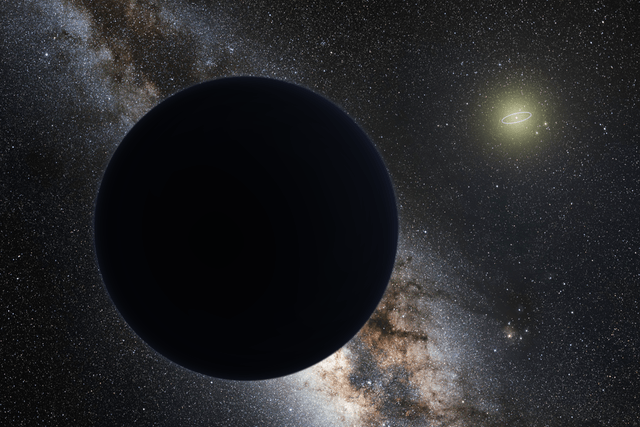 At the time I noticed this, there was a prediction going around for Planet X (to "come in May 15, 2003"). While I never put faith in that exact date, I did not know for sure it could not come soon around then. At that time in December, 2002, the high winds of the dry season in Costa Rica were beginning. I was studying the Bible about Wormwood during the day and at night listening to this howling wind swirl around the little one bedroom house our family was renting. I kept thinking to myself, it's going to be just like this but worse when Wormwood approaches and Revelation 7 is fulfilled. How would we survive this? Solution: I subdued this fear by learning God's plan for his people to escape those winds along with everything else Wormwood causes. I kept studying and in early 2003 I saw God's escape plan for “his people.” That, then, was the last time I was ever scared about the end times. I learned that rather than there being a celestial escape plan (pretrib rapture), there will be a terrestrial one (a migration). The interesting part is this escape plan has been done before. Christians know well the story of the exodus. They know there were Ten Plagues of God's wrath poured out before it as a judgment on Egypt for not letting the children of Israel free earlier. What is easy to overlook in that story is how ancient Israel was right there in the midst of Egypt when these plagues went down. How did they survive without a pretrib or, if you will, “pre-plague” rapture? It tells us how. God “made a difference” between the Egyptians and Israel (Ex 11:7). While Egypt as a nation was devastated, Israel was hardly affected. Since God does not change, he can and will do the same thing again in our day. When it comes time for us to march out to where God chooses to protect us from Wormwood and the Great Tribulation, we will have the miracles we need, just as they did. You can see this escape plan in Revelation 12 and Joel 2:30-32=Rev 6:12-17, among other verses. My previous article on going through the Great Tribulation also discusses related concerns. As you study end time prophecy, you will no doubt get confused along the way. There is much contradictory information online. It gets discouraging and may lead to anxiety. Will you ever understand it? Does anyone? The concern becomes that your incomplete or incorrect understanding of the end times timeline could cost you dearly. What if not understanding everything keeps you from being prepared? This happens commonly because we've been conditioned in Christianity to judge others by their beliefs and understandings (or that false prophet, false messiah, heretic or cult might get you). This false standard can lead us to also judge ourselves for our shaky understanding of end times events. Solution: The solution to this fear is to realize that God is not saving just the Bible scholars, the good students, the pure in doctrine or the paranoid who watch and study every prophetic timeline offered on the internet. He's saving all his servants. How will he do that? The same way as he did last time. When it was time save his people from Egypt, he did not send them cryptic messages like we have in the Bible and leave them to figure it out. Instead, he sent a single certified prophet named Moses to them. Moses certified he was a prophet through his signs and then spoke plainly to them. There is a prophet or two (Elijah and the Two Witnesses) promised for the end times, not to mention around 144,000 others. God will reach all his servants in every country with the clear instructions they need to follow to be safe. The only thing you will need at that time is the faith and the will to obey. To prepare now, start praying about it (Lk 21:36) and practicing walking by faith, not by sight. By the way, you might ask what are the Bible's prophecies for, then, if we can't follow them directly? Daniel 12 tells us that what originally was sealed to even Daniel would be understood by wise men in the end times who will lead many to righteousness (Dan 12:9-10; 3). When you do read and understand the prophecies you are blessed (Rev 1:1-3) and better prepared to accept what must be done later because you were forewarned (Mt 24:25; Jn 14:29). If you can get past your anxiety about what you read, continuing to study Bible prophecy is a great preparation. I think that is a major reason he preserved it down to this generation. I mentioned above that even pretribbers lack full peace in the end times. This sounds impossible since they believe in a fantasy of being evacuated to Heaven before anything bad happens including the Great Tribulation. Am I “doing it” right or am I in some kind of heresy? Did I miss anything God wanted me to do? Did I do something wrong that God is mad at me about? Is God not forgiving me for my current secret sin or what I just did to my [spouse/neighbor/co-worker/boss/etc.]? With a running script of doubts like this, perhaps now you can see why even pretribbers worry. What happens if the “pretrib rapture” comes when they are in a backslidden, compromised state? Will they be worthy? (Lk 21:36) They hope and pray so, but are not sure! Worry ensues. If even pretribbers worry about their worthiness, then how much more do people who understand we must obediently and faithfully move to safety when instructed? Didn't Jesus Say You Had To Be Worthy? Luke 21:36 (KJV) — Watch ye therefore, and pray always, that ye may be accounted worthy to escape all these things that shall come to pass, and to stand before the Son of man. Luke 21:36 (HCSB) — But be alert at all times, praying that you may have strength to escape all these things that are going to take place and to stand before the Son of Man. Either reading is challenging in how they make it sound like your physical salvation is based on performance. KJV causes even more trouble by attaching “always” to “pray” instead of “watch/stay alert.” Jesus taught us in his parables to "watch" meaning not "look" but rather to be alert or on our guard—against backsliding into sin. That's hard enough as many Christians worry about unintentional sins, addictions or their stray evil thoughts being held against them. The “pray always” is another troublesome requirement. I have not met a Christian yet who would not confess, “I don't pray as much as I should.” Thus, this reading of the verse can make it easy to imagine you might not have what it takes to escape in that day. Solution: This fear is tied to common worthiness issues that many people have even in normal "good times" mentioned above. Many people, especially believers, judge themselves as not good enough, not lovable, or unacceptable. Often it comes from childhood trauma, but it can just simply come from a having a more self-critical personality type or exposure to the judgmentalism of many flavors of Christianity. If you cannot see yourself as acceptable, then it becomes easy to imagine God as not accepting you either. Psalm 103:8-14 (HCSB) — 8 The LORD is compassionate and gracious, slow to anger and rich in faithful love. 9 He will not always accuse us or be angry forever. 10 He has not dealt with us as our sins deserve or repaid us according to our offenses. 11 For as high as the heavens are above the earth, so great is His faithful love toward those who fear Him. 12 As far as the east is from the west, so far has He removed our transgressions from us. 13 As a father has compassion on his children, so the LORD has compassion on those who fear Him. 14 For He knows what we are made of, remembering that we are dust. Of course, the New Testament communicates the love and mercy of God even more concretely through the Gospels. The Gospels record Jesus' consistently loving behavior—such as healing even sinners who came to him. If Jesus was the express image of the Father (Heb 1:3) and only did God's will, then it becomes easy for us to visualize God's love and mercy for us. In the end, believers tend to be more critical of themselves and much harsher judges than God himself is on us. God our Father made us and understands our flaws, our inability to be perfect or to fulfill his will consistently just as we do with our own children. When the end times comes and we are less than perfect in our track record of obedience despite our best or sometimes not-so-best intentions, God will judge us by our hearts or intentions and grant us grace. If it were not so, who would be "accounted worthy" to escape? This fear is also one that I fell into. I was in my mid-teens when I first started digging into Bible prophecy. I was blessed to find information that taught about the place of safety, rather than a pretrib rapture. Although I did not have a fraction of the understanding I have today, I knew enough for the end time scenario to make sense and to seem very real and imminent. For all I knew back then, it could come any year. This lead to the fear that many youths have upon learning about the end times events of the Bible. They are scared that “the end of the world as we know it” will arrive before they get a chance to really live their own life. At that age you are looking forward to finishing school, getting married and start a family, and/or starting your career. Therefore it's natural to be concerned about whether you will get to experience any of it before all hell breaks loose. If you can't, you would feel cheated at not getting a chance to have a life of your own and fulfill your dreams. Solution: I thought that way and so did my wife when she was young. Yet, here we are today, married and parents of adults. What happened? What happened was what has always happens. Time went on longer than we or anyone expected. For example, watching things worsen to the point that people declare “it's never been this bad” is not a good indicator of the end. Most generations have seen things get worse than they were previously. Whenever this happens, predictions that the end is near multiply. Nevertheless, civilization keeps going on. The lesson from this is that we most likely have more time than we think, even now. We can trust that when we do not have much time left, God will send a prophet to clearly let us know. I would bet that even my children finish school or get married before the end comes (although I think they will see the end in their lifetime.) It's the safe bet; History is on my side. More importantly, as yet, none of the “beginning of sorrows” events that Jesus spoke of in Matthew 24 have happened yet. Until these do, he said “the end is not yet.” There is no sign they are even ready to happen. Nevertheless, somebody is going to be in their teens and twenties when the end times come. What do I say to them? First, I would say the end times events do not last forever. Probably around seven years. Second, God always has a plan. While your current career or college plans will not be possible, new opportunities will arise out of the new situation that will interest you. Third, as far as marriage, I think a gathering of the saints into one place is going to be one of the best singles scenes ever. I don't see why people will not meet and marry (although getting pregnant nine months before the rapture could get complicated). Whereas today you have a hard time finding others who share your Bible convictions, then you have a target rich environment. Thus, end time change does not have to be all bad. One of the themes of my research is giving good Scriptural evidence for why it's impossible for the end to come in the majority of the years ahead. I'm the anti-date-setter among Bible prophecy experts. I can debunk just about all the dates out there using my book's roadmap timeline. The timeline shows the possible windows for the start of the 70th Week of Daniel using the Sabbath year cycles that the 70 Weeks are aligned on. In other words, in only one out of every seven years can the end start (or can Jesus return). The last time I ruled out one of these upcoming 70th Week windows, I was surprised at the reaction I got. Some readers on my book customer's private forum were in disagreement. I found that for a few of them, the disagreement was not based on any better information than I had. It turned out to be an emotional response. They did the math on what their age would be based on the now updated earliest possible year for the end of the age and did not like how old that would make them before Jesus could come back. They were afraid of being too feeble, too diseased or too slow when the time comes to march out. Solution: I answer this fear by again going back to the exodus story. The Israelites were overworked slaves struggling to make bricks without straw once Moses got involved. Imagine how tired and feeble some of them were. Yet, all of Israel was freed, not just the young or healthy. Even with the normal share of elderly people in a nation, not one of them was feeble or faltered during the march (Ps 105:37). The Book of Exodus does not mention that anyone was healed for the trip, but it's hard to imagine that God did not do something so that no one was left behind or had to die from the arduous desert march. One thing I know for sure about our coming exodus is that we will have healings. As mentioned above, we will have up to 144,000 prophets throughout the world at that time. When Jesus sent out their forerunners, the 12 and the “72” they were commanded to preach, cast out demons and heal. We see the 144,000 in Revelation 7 and 14 sealed with the name of God and protection. Joel 2 mentions the pouring out of the spirit in connection with the coming of the blood moon cosmic disturbances. Peter quoted that very passage on the day of Pentecost when the spirit was poured out on that generation. You can read about all the healings that followed throughout the Book of Acts. Given all of this, it is safe to expect that if you need a healing because you are too old or too afflicted by the “diseases of Egypt” (Dt 7:15) in order to comply with the command to flee Babylon (Rev 18:10), you will have it. God is consistent, merciful and reasonable. I remember clearly when I first heard the rumors of concentration camps and guillotines along with the red and blue lists being readied to determine which "troublemaker" citizens would meet their end through them. It was when I came in contact with Pamela Schuffert in 2001. She said concentration camps were being prepared throughout the country for a future "American Holocaust" for American citizens just as was done to the Jewish people in WWII by Hitler. I have come in constant contact with people afraid of these camps ever since. Similar to this rumor are the rumors that "martial law" was coming in the U.S.A. Once sprung, this would result in the closing of borders and restriction of all travel. Presumably nobody would be able to leave America even if they wanted to, even if was the end times. The fear with all of these scenarios is obvious. When the end times come and God's coming command is prophesied to be "come out of her my people; move forth from the the land" (Rev 18:4; Jer 50:8), then what hope is there for people trapped in prison, camps or behind closed borders? Solution: The solution is evident if you are familiar with God's reasonable and merciful nature towards his people as demonstrated in the Bible. Think about it: most people have no clue that the end times are coming upon us. Assuming they are real, most have no idea about these concentration camp and martial law border closing plans. If these measures are real and as bad as they seem, then many good saints will be trapped in them and prevented from obeying God's command to leave and move to the place of safety he has prepared (Rev 12:14). That would mean God's plan for his people fails many of them. Instead, let's again remember a similar situation of camps, martial law and closed borders: Egypt before the exodus. The slaves in Egypt had no freedom to move to another country. Yet God told them they were going to be leaving to the Promise Land. Through a series of plagues and miracles, God released all the people who were willing to march out in faith. Pharaoh's armies, the Red Sea, desert and other hazards were not too much for God. God would not issue a command for all his people to flee their countries to safety from the destruction of the US and Wormwood when it is impossible for them to comply. If there are obstacles in the way, he must take care of them as he has in the past for his people, such as when Peter was in prison and he opened the gates (Acts 12:7). Anything less will result in few being saved out of those who had faith and wanting to be. God's nature and past acts are enough to quell this fear of being trapped behind and unable to march out when the command is given. Of all the fears I have encountered, this one was the most surprising. I first became aware of it early on soon after I made my breakthroughs on prophecy. Back then in 2003 I would go on Paltalk and share my findings in the voice chat rooms they had. One mother I met on Paltalk did not like what my findings said regarding the end not being imminent or ready to happen at anytime. It seemed to almost depress her. I was surprised at this reaction because I thought research showing we had more time was encouraging news that everyone would be overjoyed to hear. When I inquired to find out why not, she confided in me that she had a terrible family life. Her husband and her were not close. Her teenage kids were disobedient. They were struggling financially. Who would not want an escape from that situation? In that situation, the prospect of God leading us out and taking care of us can be attractive, despite the obvious new challenges it will present. Since then I have seen more people just like this. People who I find out are interested in the end times because they don't have much to lose in this world when it comes. They say, “I can't wait until the rapture/end comes so we don't have to deal with all this crap anymore.” They might have jobs or bosses that they hate, or something more common lately, have no job due to the economy. Ironically, end time Bible prophecy gives them hope. Solution: This wanting the end to come is, not surprisingly, the hardest of all the issues here to resolve. Because it is driven by a fundamental dissatisfaction in life, it is unlike the above fears where one insight can correct it. If circumstances in your life cause you to want the end times to come, then you obviously have problems you do not know how to solve otherwise. Wisdom is needed. The Bible describes God's way of life as a light yoke leading to wisdom, peace, joy and many other blessings. Proverbs, Psalms, and the Gospels are especially clear on all aspects of this. Reading them (and the entire Bible) over again would be good medicine for this sickness and also a good start towards discovering what wisdom you are missing. I can testify to the peace that serving God wisely brings. This includes a happier and closer family and always having the finances needed, even if it means living humbly. But I did not learn this through years of belonging to a church. On the contrary, I started to learn it in earnest only after I became disillusioned with church and began studying the Bible on my own at home instead—not to mention developing serious prayer routine like I read Daniel had (Dan 6:13). The traditions we are taught by and practice in religions that come in Jesus' name fail to bring the results that Jesus' own words and instruction would produce if we followed them directly. Religion trains you to focus on the blessing of the next life without training you how to have a blessed joyful life now with God's help. Even with God's involvement in your life, you will still have problems, challenges and trials. This is necessary to teach us and refine our character (Heb 5:8; James 1:2-18). Since you cannot avoid that, the best you can do is learn to accept it and be thankful always in the face of it (Eph 5:20; Rom 8:18) Many people do not learn that it is always our choice how we decide to react to what happens in our life. We can decide we are a powerless victim who others or even God is picking on, or we can trust God and ask him to help us to see the reason or meaning for it and to be thankful while we wait for it to change. To be sure, it is not always easy and can take years of walking with God to master. If you cannot seem to make any progress on your own, then it might be wise to consider getting help from a experienced coach or counselor. Again no shame here to recognize you have this problem. Neither the church nor anyone else has comprehensively taught us God's “principles of living.” We have all had to learn what works and does not work the slow way, by trial and error. Is [fill in the blank] a sign of the end? Is the Mark of the Beast already here? Can I take the mark by accident? Is a recent earthquake a sign? Is a recent disaster a sign? How do we escape the Great Tribulation (if there is no pretrib rapture)? How will I escape with young children? Can I miss the command to flee? Healings in the end times needed for most to escape. As you may have noticed, most end time fears come from ignorance or misunderstanding. The prescription for that is education. If you have a fear from end times topics, you must push forward past the fear into further study until you understand enough or correctly in order to dispel the fear. My articles and book can get you there faster. Leads to a question where you state that all who die are in a sleeping state. Not the sleeping that we know but an unconscious state. So then when people say that this person is watching over me or my Dad who has past is looking down on me and he’s proud….they aren’t really because they can’t be if they are not conscious. Bill, exactly. Christians say many wishful things because they are comforting even if they are not Scriptural. I prefer the truth over platitudes, but not everyone is wired that way. They find the truth a buzzkill. Great refresher – thanks Tim. I have been reading your articles for a couple of years or so now. Your timeline makes sense and provides stability in a world of fear based teachings. Nonetheless, doubt creeps back in at times regarding “imminency”. I grew up in a church that taught that doctrine and have spent much of my life holding back on living and achieving with thoughts of what’s the point? Now there’s an example of being indoctrinated! Now I know the only imminency I should be concerned about is to live each day as if it’s my last (well not really – but it doesn’t hurt to be gratefu, enjoy most days and strive to obey God knowing that His love and His Son are much bigger than me!). Thanks again for the work you and Katrina do. About a week ago I received warning and a map of the radiation leaks from Fukishima power station that cannot be stopped & is increasing daily. The map shows the radioactivity in the ocean has spread to the South Pacific moving across the top of Australia travelling south east past New Zealand & about 500 kms east of Queensland towards the Antarctic. Reminds me of the prophetic warnings in the Bible of one third of the oceans turning to Wormwood. Bitter ) What do you say mate? Brian, this has nothing to do with the Wormwood of Revelation which in context is a series of calamities on earth brought by the breakup of the Wormwood dwarf planet as it passes Earth. See this article on how Wormwood plays out. as a linguist and interpreter and translator I find your articles ilustrative. I learn new words and phrases that only a native speaker with a good command of English can provide. I can’t afford not knowing how to express in both language (English and Spanish) anything I find written or hear, or think. This is besides the good notes that I take ralated to the contents of the articles. it is good to have people like you dedicated full time to studying the Bible and helping others with what you find (or rather God reveals to you). The support people send you is not insignificante compared with what you get. your explanation on the subject matter of your articles are clear and logical. no other conclusion can be better than that. I can honestly say that the Holy Spirit of God is leading you to write these truths for the benefit and understanding of believers and non-believers alike. I have been reading Benjamin Baruch’s book, The Day of The Lord is at Hand, the latest version. He teaches that the we are already in the last 7 year period, in fact; 2018 will be the time of the Abomination of Desolation. He teaches that the call to come out of Babylon is happening now and we might want to think bout leaving America because of Concentration Camps, Martial Law and Nuclear War could happen at any minute. He also states that he has been given direction by God with dreams and audible voices. He also teaches that the people that escape will be survivors of all of these things. I am studying and praying for discernment. It is hard to understand how a person can have so much truth and error at the same time if they are of God. Hi, thanks for the article. It is really well written and I agree with all of the points mentioned. God bless you. Thank you for the enlightening points on the fears of the end times. I am one of those who is wishing for the end times, since my daughter was murdered in June 2015, and the trial is taking place as we speak. Its left our family very traumatised, and most of us have the faith that God is in control and already knows the outcome. We hope to have some closure by end Nov, but expect it will not be plain sailing thereafter due to some very complicated matters. Some days I feel like giving up, running away or just simply saying ‘Come Lord Jesus Come’, but the Holy Spirit encourages me to persevere. My frame of mind is also affected by all the events taking place in the world today – hurricanes, earthquakes, droughts, famine, murders, wars, terrorism, and with every new attack or event I ask Jesus to come, because how much longer can it go on ? Am I being selfish to wish for His return to take His children out of this mess, and for me to see my daughter again when I have family who seem to depend a lot on me emotionally and spiritually. I am 68 years old and tired. I’ve thought a lot about what you wrote “backsliding into sin” The backsliding is actually not so much going out and becoming a full-fledged, hedonistic pagans, although that could be an end result. I think what the Bible warns us of is “falling away” from grace and thinking we can ‘fix it’ ourselves. The mental attitude of “I’ll do this myself” I think is perhaps the most destructive attitude a Christian can have. When we begin to think we must do ‘penance’ or punish ourselves with deprivation of food or recreation, we are falling away from grace. So many religions are ‘works oriented’ and ‘sacrificial’ when Jesus said “I desire mercy, not sacrifice.” Sin is serious, but Christ defeated it on the cross. Whenever we forget that and start worrying about not committing the slightest sin, we’ve fallen away from grace. It’s like a person with OCD’s who goes out of their way to avoid stepping on any cracks in the sidewalk. I think our shame of committing a small sin may keep some of us from praying and feeling guilt and yet that’s when we need to pray all the more. God knows we can’t ‘no’t sin. Just as the Spirit is in us, so is sin. We only lose when we think ‘we’ can win. Hi tim. I think about end times events an awful lot lately. I want to think about the future but because of the looming possibility of end times events I cannot. As much as I try to trust God, I always end up hearing about some sort of catastrophe which brings on thoughts of concern about how awful the end times could be. It’s really just an ongoing anxiety which won’t get lost. I know end times prophecy is supposed to be a good thing that God has full control over, but I just find it hard to remain calm knowing the future could hold such bad things. Having faith is the key, but it feels like a very personal process which requires personal growth and time. I feel like if I stopped worrying about these things then maybe I would have stronger faith. As much as I long for Jesus’ return. I cannot wrap my head around the tribulation. It causes so much anxiety. I honestly just don’t want it to happen soon, or ever. I feel guilty for thinking that way. Is there anything i’m missing here? Is it necessary to think about these things so much? Or is it ok to somewhat forget and just focus on other important things…? This website has helped me a lot. Thanks. Tony, you don’t need to be Bible prophecy expert. Think about all the people too uneducated and busy who can never focus on Bible study. God has a plan to save all including those who are not Bible literate. It all depends on faith and desire to please God, not about knowledge or perfection. Thank you for writing this article. I have been watching too many YouTube videos predicting the rapture/ end times, and setting dates for it. All of it has been stressing me out. My mind seems to be running all over the place. Comment sections in YouTube videos are full of controversy and disagreement between fellow believers, and I get extremely confused about everything. Honestly, it’s been stressing me out all week, and I haven’t been able to focus at work. I have mixed emotions about it, when I feel I should be excited and ready. But I don’t feel ready. I still want to read more of the Bible, I haven’t read enough. I feel like there’s things I still wanted to accomplish here with my time on earth. I haven’t shared my faith with many people; and the thought of close friends, who do not believe in God, I will have let down. Glad though, to know I am not alone with these types of fears and thoughts. Thanks again for sharing this. Tim, Unfortunately this did not calm all my fears. What if you’re not ready and have an entire life ahead of you and every time someone preaches on it, you want to burst into tears because the fear grips your heart and won’t let go. I hate hearing the words ‘we’re in the last days’. They have haunted me my entire life. It is still my biggest fear. How can I change this..? Elizabeth, it’s especially hard for the young with so many unfinished plans to hear that the world is ending. But for perspective, nobody is going to be without disruption to their life plans when it comes, causing them to doubt God’s goodness, as well. The way you change this is to choose to believe that something better is coming through the end of the world “as you know it” in this world “you don’t know yet.” Yes, it takes faith, but the alternative is to keep focusing on what you’re losing and concluding from that that God is not really good like the Word says (Heb 11:6). That worldview only leads to sorrow and even depression. Just rebuke the negative thoughts each time they come up with the Word of God and you will change it.